1. What is the difference between a colonic, colon hydrotherapy, and colonic irrigation? All of these terms describe the cleansing of the colon. We use the terms interchangeably but most often say “colonics.” To learn more, please read on! 2. How many colonic sessions does one need? Having one colonic is the first step towards renewed health and vitality. The number of colonics you need depends on your goals, intestinal health, dietary habits and lifestyle choices. During your initial visit, you will have the opportunity to ask questions, and your therapist will offer feedback and guidance as to how many sessions will be helpful for you. 3. How often should I have a colonic? Everyone has different needs. After your initial visit, you can discuss with the therapist’s guidance as to how many and how often you might want to schedule sessions.We generally recommend at least doing a series of 3 colonics to appreciate what colonics can do for your body. Some people initially need a series or more to get the colon functioning well. Regular clients may have maintenance colonics from once a month to once every three months. 4. Do I need to fast before a colonic? It isn't necessary. If you are familiar with fasting you may know it is a good thing to do in conjunction with colonics. If you've never fasted before, we recommend having a colonic first and learning more about your body's needs before jumping into a fast. 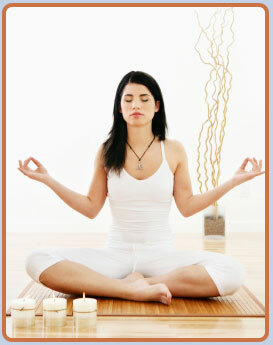 Body Harmony has fasting guidelines which we can share with you once you have your initial visit. 5. Is colon hydrotherapy painful? No it isn't! Many people say the sessions are easier and more relaxing than they thought they might be. Following our dietary guidelines 36-48 hours prior to your colonic is a good way to avoid potential discomfort. 6. How long does a colonic take? The first session at Body Harmony is 90 minutes. This includes an initial meeting with the colon therapist during which the two of you will review your health history and goals. We explain the process step by step and answer any questions you might have regarding the colonic. The colonic itself can last anywhere from 30-50 minutes. Afterwards we sit down with you and provide a general assessment of the session and give you an opportunity to ask any further questions. We offer individualized recommendations based on your session. How many more (if any) colonics or what kind of program you might need can be discussed at this time. Follow up colonic sessions are booked by the hour although you will be receiving the actual colonic for 30-50 minutes. 7. What can I expect afterwards? Clients generally report a feeling of lightness and sometimes even increased mental clarity. 8. After a colonic, will I need to be close to the toilet all day? Usually clients release everything while they are in our office as there is time to finish on the toilet before you go. There can be exceptions to this, of course, but most clients continue their day without urgency to eliminate. 9. Can I have a colonic if I am having a period? Yes. Your body is in cleansing mode already so it is a fine time to have a colonic. We are prepared to accommodate women on their period and we do not recommend wearing a tampon during the colonic. 10. Can I have a colonic if I am pregnant? Yes, if you are between 3-6 months pregnant. The chances of miscarriage are highest during the first trimester, so it is best to play it safe. As the pregnancy progresses, increased progesterone may slow peristalsis so constipation may ensue. Colonics may help with this. However, after 6 months, colonics may induce premature labor and too much fluid in the membranes surrounding the fetus may put pressure on the diaphragm and cause extreme discomfort. Please discuss this with your therapist if you have any concerns! 11. How soon after the childbirth can I have a colonic? Can I have one while I am nursing? Wait at least 6 weeks to heal and recover from childbirth before having a colonic. You can have a colonic while you are nursing. If you are coming in because of constipation, a colonic is much better than a laxative. You don’t want your baby to feel the effects of a laxative, and everything you consume orally will pass through the breast milk. 12. What can I eat and not eat? Should I fast before a colonic? Please visit our PREPARING FOR A COLONIC page. 13. Will I lose weight? You will lose waste. Ridding the body of excess waste helps your body to metabolize more efficiently. You will become more conscious of what foods you are putting into your body and how your body processes those foods . I have seen many clients improve their diet and exercise regime when they start having colonics. The therapists at Body harmony will encourage you to make healthy dietary choices and support you in your weight loss goals. If weight loss is your primary goal, I recommend the Transformation Program. 14. Is colon hydrotherapy dangerous in any way? 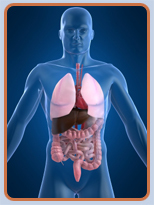 Colon hydrotherapy is a safe, effective way of cleansing the large intestine. We use pre-packaged disposable speculums and tubing. Our FDA-registered Specialty Health HydroSan closed-system instruments are sanitized between each session with an anti-bacterial glutaraldehyde solution. Cleanliness and sanitation are top priorities at Body Harmony. 15. Are there any contraindications to having a colonic? Yes, the contra indications include: Severe cardiac disease (uncontrolled hypertension or congestive heart failure), aneurism, severe anemia, GI hemorrhage, severe hemorrhoids, severe diverticulitis, ulcerative colitis, Crohn's disease, cirrhosis, intestinal fissures/fistulas, advanced pregnancy, abdominal hernia, recent colon surgery and renal insufficiency. 16. What can I eat after a colonic? We encourage you to eat healthy food such as nourishing soups, salads, or steamed vegetables. Avoid spicy bean dishes, dairy, and especially sweets. 17. Are colonics covered by my medical insurance? Unfortunately, colonics are not covered by medical insurance. Some flex-spending healthcare plans do cover colon hydrotherapy. Check with your provider. 18. Why is colon cleansing so crucial? We are all exposed to thousands of toxins and chemicals on a daily basis at work, in the home, through the air we breathe, our food and water supply, and through the use of pharmaceutical drugs. In addition, we are eating more sugar and processed foods than ever before in human history and regularly abuse our bodies with various stimulants and sedatives. By cleaning the colon, you are decreasing the general toxicity of your body and supporting your liver to function more efficiently. It’s like changing the oil in your car on a regular basis. 19. Why not just use enemas, suppositories or laxatives instead ? Enemas typically aren’t as thorough as a colonic. At Body Harmony you are working with a certified trained professional who will make the experience more comfortable and successful. Suppositories and laxatives can both be irritating to your colon, even if you are taking an herbal form. Colonics are more natural in that they stimulate peristalsis of the colon muscles and help to establish regularity. Laxatives cause the colon to spasm due to aggravation. 20. Do you recommend supplements after a colonic session? Each client has different needs and after a session we may suggest supplements that we think will help you and your colon. Products we might recommend include fiber, probiotics and digestive enzymes. If you are on a cleanse or have specific constipation issues, we may suggest temporarily using herbs to support movement. Clients may already be taking appropriate supplements and sometimes clients may not need to supplement with anything! See the PRODUCTS page. 21. Will a colonic make me constipated or give me diarrhea? Sometimes if there is a full release during your session, you may not have a bowel movement the next day, as we have emptied your colon of most solid waste. This doesn’t mean that you are constipated. On the other hand, if you do not fully release during a session there may be residual water in your colon that you may release later in the day. 22 . I'm worried that I could become dependent on colonics. If I have too many, will the colon stop functioning on its own? Are colonics habit forming? Actually, colonics have a toning effect on the colon. They stimulate the colon muscles and remind them how to work. Physically, colonics are not habit forming. Your body will not become reliant on them to eliminate.